It's interesting that we often talk of Nintendo being cautious in licensing its IP - a trait it's currently moving away from - when considering some of the quirks in its history. 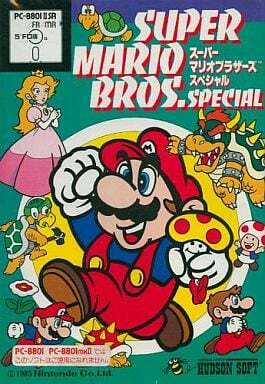 For example, between Super Mario Bros. and Super Mario Bros.: The Lost Levels on NES there was Super Mario Bros. Special (in 1986). It was developed by Hudson Soft - we miss that silly bee - and released on platforms that are largely unknown in the West, namely the NEC PC-8801 and Sharp X1. Hat tip to Mariowiki for that information. Why are we going on about this oddity? Well, because it's intriguing and potentially a bit of history that some don't know about, and also because the inevitable has happened - someone's recreated the entire game in Super Mario Maker. It was actually completed by a user called Forteblast on GameFAQs and shared about a month ago at the time of writing; it's come to our attention now courtesy of Tiny Cartridge. With help from online buddies the user was able to earn enough medals to post the whole game as separate level uploads. You can access level 1-1 with code 359D-0000-0080-762B, and then selecting the user's profile and viewing their courses provides the full list of stages. We've had a go at the first level and, to the user's credit, it's a pretty good match for the real thing. You can see some of the forced changes they had to deal with below, and as you can see in the video from the original game the Super Mario Maker version provides scrolling that just wasn't possible in the rather iffy original. I've needed to make some minor changes in the levels - one-way blocks to represent the inability to backtrack for mazes, switched out stalactites for spinies, no pulley platforms, no special Hudson powerups or enemies, had to shorten a couple of levels left-to-right because of the level size limit, etc. But I've done the best I could. I figured out how to make elevators that look pretty good, so there's that. It's great to see tools like Super Mario Maker used to celebrate lesser known parts of Mario history. If you have a spare hour or so it may be fun to play through Super Mario Bros. Special: 2015 edition. Oh God, the Mario Bros theme! What did they to it in that game!? Wow... I was actually unaware of this! @NintendoFan64 I kind of like it. @waluigifan1 Good for you, then. I'm not rather fond of it, but whatever. I was just thinking that this game would have made sense as a first Mario game on Atari 7800 or something. It seems like SMB was such a huge jump up from Atari games. This seems like a game that would've made more sense if it came out before the NES. I didn't know that this existed. The music is...rough. Looking at that original gameplay footage... That is disgusting! How was that allowed to happen? The music is ear-bleeding material. I'm sure that was all we could have hoped for for the system, but still. I do like that they had DK's barrels and the hammer to destroy them, though! Next step, a recreation of All-Night-Nippon Super Mario Bros. with the Mega Mushroom. Oh how I miss you Hudson Soft! I'll definitely give this a play. Actually this is something I was thinking of doing myself at some point. All we need now is for somebody to recreate Super Boy in Super Mario Maker. So that game is what happens when Mario doesn't do shrooms? Like when Bender doesn't drink? That lack of smooth side-scrolling, though. I didn't know about of this version of Super Mario, but, well, despite the lack of smooth side-scrolling and "slow song", that game look great, with a little twist and "new" enemies, In my opinion, this could have been part of the "original" Super Mario Bros 2. Well, now I can say I've played through Super Mario Special. Honestly, it's not bad. Had this been released on NES with the scrolling intact, it might be remembered as a classic alongside the original SMB. When I got Super Mario Maker, I actually made a Miiverse post asking why there wasn't a Super Mario Bros. Special theme in the game. Ahh, I actually did World 4-3 myself as sort of a prototype of a full remake with some other people, things went off the rails so someone else seized the day here, power to him. It's a lot of thankless work to do stuff like this so good on him. I was going to do this, but making this levels in SMM, they take a lot of the feel of what make SMB special unique. Though, with NSMB2 hacking in the corner, I will see if I can remake it there, like I did with SMB1 and TLL to NSMB. The music was so grody because the computer was using processing for the sound and graphics at the same time. It was going good until it was time to go to the next screen. God, that visuals and sounds actually gave me a headache after about a minute of watching this. KILL IT! KILL IT WITH FIREBALLS! What system was this, out of curiosity? The lack of scrolling is awful. Also there's some super cheap blind jumps in the latter stages. Heck, as homebrew has prooven, 7800 and even the 2600 were capable of scrolling. The 2600 Princess Rescue required a highly sophisticated kernel though. Wow I never knew this even existed... and yeah those graphics are super lame. Let's hope he hasn't reciprocated them in his levels. I'll definitely have to play all 32 stages! Good job! It's like they tried to deliver Mario with Mega-Man's (vertical) screen transitions. @StarDust4Ever NEC PC-88, a very early (early 1980s, I think) Japanese home computer. I hear it's Yuzo Koshiro's favorite system that he still even used to compose Etrian Odyssey's soundtrack. Oh God, how could anyone stand to listen to that ear-grating music while looking at those glitched out graphics for an entire hour! Thanks so much to everyone for all the stars and comments. I hope you enjoyed the recreated levels, I spent a lot of time trying to make them as close to the originals (minus flip screens and god awful palette) as I could. I havent checked out these levels redone on SMM but....just seeing this old-school Super Mario game was pretty awesome....despite all of it's shortcomings. Ah man, I never saw this awfull version of Super Mario bros before! Certainly NOT the Seal of quality! HAH! you know what’s funny? 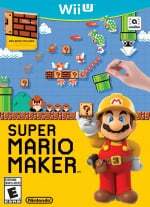 I’m recreating it on the 3ds version of mario maker! Sure the level design was..... bad..... but it was still a fun game. I play it almost every day! It was cruel, but not cruel like Lost Levels (the REAL mario 2) which made it accomplishing when you finally beat a world. This game has my full respect and i love it. @Forteblast yeah, but how long did it take you to do the FIRST world? Im not even done yet!